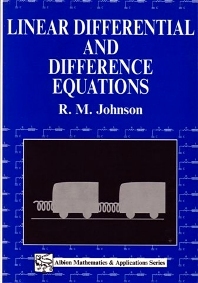 This text for advanced undergraduates and graduates reading applied mathematics, electrical, mechanical, or control engineering, employs block diagram notation to highlight comparable features of linear differential and difference equations, a unique feature found in no other book. The treatment of transform theory (Laplace transforms and z-transforms) encourages readers to think in terms of transfer functions, i.e. algebra rather than calculus. This contrives short-cuts whereby steady-state and transient solutions are determined from simple operations on the transfer functions. Part 1 Continuous systems: An approach to the laplace transform; Solution of linear-differential equations; Steady state oscillations; Piece-wise continuous functions. Part 2 Discrete systems: From the ideal sampler to the Z-transform; Solution of linear difference equations; Digital filters.